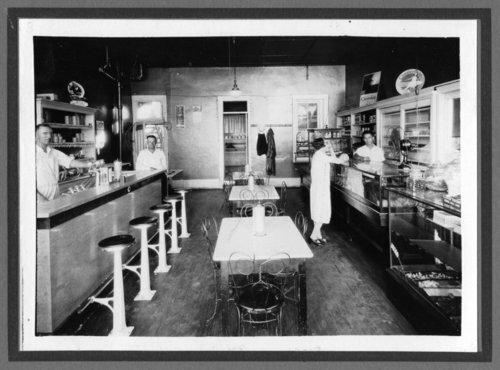 An interior view of an early soda shop in Alma, Kansas. The photograph shows three employees and a female customer. The establishment sold canned and baked goods, cigarettes and cigars, candy and beer.